The Honda NTV650 isn’t just about frugal motoring, a quality build and endless reliability. Because somehow Honda segued in a cheeky charm and a handling package that has to be ridden to be believed. Most Honda NTV650s will be a little tired after a decade or more on the streets but at the right price they’re simply superb motorcycles. The Honda NTV650's chassis and suspension package is almost perfect; not only can it turn on a sixpence and handle everything the city can throw at it, when the road opens up the Honda NTV650 can really reward its rider. The huge front disc and quality stoppers mean that the Honda NTV650 won’t be out of place on a trackday, despite its dowdy appearance. The SOHC, V-twin motor in the Honda NTV650 could be the perfect cross-town device. 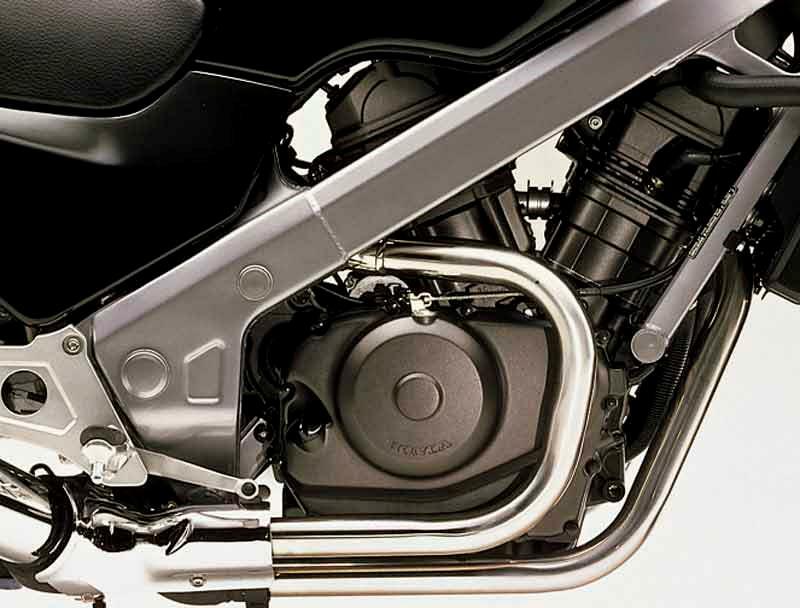 The Honda NTV650 is torquey, smooth and superbly flexible. The only drawback is the gearbox, which is one of the stiffest and least precise ever fitted to a mass-produced motorcycle. There are a few issues with the Honda NTV650 – the rear discs warp (probably due to the extra stresses of the shaft drive), the radiator fan gets filled with crud and seizes, the steel frame binds to the bolts over time if unchecked so periodically remove and grease. Other than that the Honda NTV650 is a beauty - as reliable as death and taxes. Sadly most Honda NTV650s will, by now, be a little tired. Many will have been pressed into use as courier hacks (only believe mileages given on MoTs, as Honda NTV650s are easily clocked), but with some TLC they can still give many more years of faithful service. The motor is in a very soft state of tune and should be good for 100,000+ miles. 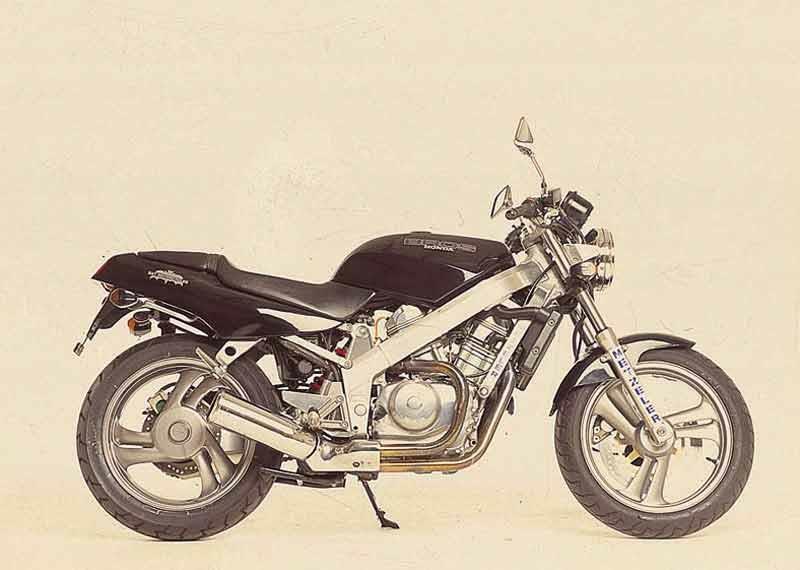 The closest thing to them is a Honda CB500, but the Honda NTV650 is actually the better motorcycle. Find a Honda NTV650 for sale. Honda NTV650s have a comprehensive set of clocks including a tacho, good mirrors and a decent headlight. But…there’s a cottage industry dedicated to tuning Honda NTV650s, with everything from big bore kits to brake upgrades. Start with a screen, though. 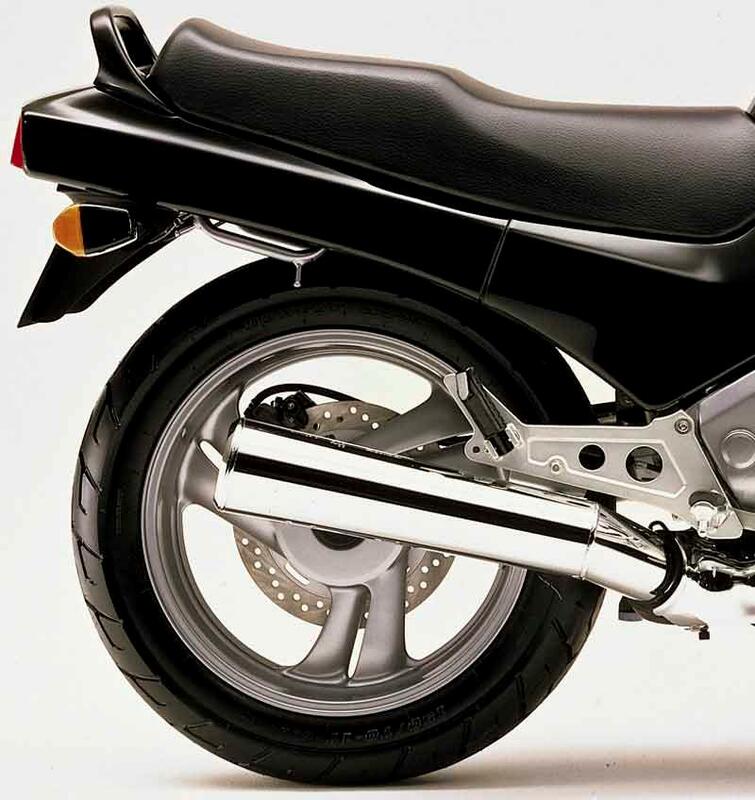 1988: Honda NTV600 Revere: Precursor to the Honda NTV650 introduced; a naked roadster with 583cc. Discontinued in 1992. 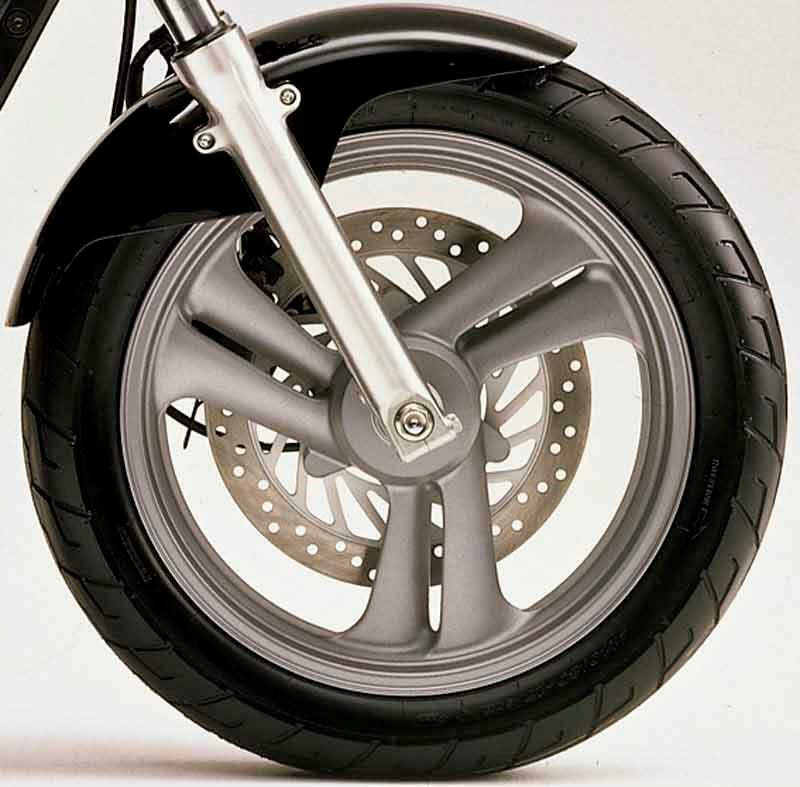 1993: Honda NTV650 introduced. 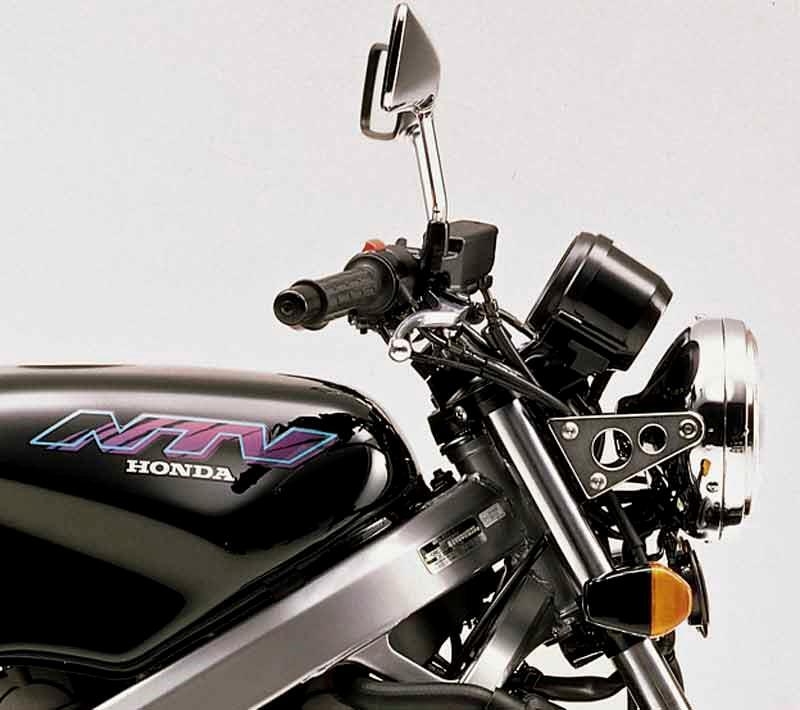 1997: Honda NTV650 discontinued. Honda NT400V and NT650V BROS/Hawk GT: Grey imports only. Similar to the Honda NTV650, easily distinguished by chain drive and alloy beam frame. 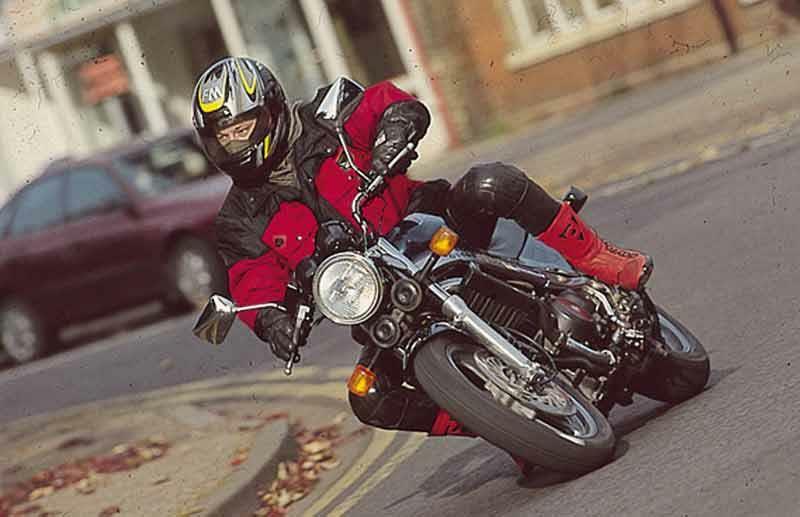 10 owners have reviewed their HONDA NTV650 (1988-1997) and rated it in a number of areas. Read what they have to say and what they like and dislike about the bike below. I would recommend an NTV to anybody who wanted a bike to ride and enjoy. A Japanese Honda isn't it? Fuel gauge would have been nice, never mind, odometers are there for a reason! Privately, £450 for the beast, no MOT, half an hour later, MOT and one nice NTV back on the road. My ER5 had been at my so called friend's (the mechanic's) lock up for nigh on two months. Prognosis was not good, it was drinking petrol, eating oil, so I got another engine (£30 that cost) to swap over, he would have to change over the ignition and generator as the breaker had stripped those off. But the engine was turning freely and with a little cosseting would have fired up. Two months had gone past and no transplant, so we told him to put the old engine back in and we would collect it. Two weeks go past no word. Now this son of a female canine had sold a bike we had loaned him (and put the V5 into his name to make it easier for him to get insurance on) to pay off some of his debts when he went bankrupt. He owes me as I could have had him done for theft. We took his assurance that the bike was ready to go as being good and went and picked up the ER5. It smelled of petrol but we just sloshed some more in the tank and I rode off. Used a gallon doing 21 miles... Next morning I discover that he had not tightened the fuel lines, so I did those up. At this point I had given up on the ER5 and we had found another bike, 120 miles away near Southend! The ER5, with MOT, spare engine and spare CDI unit was sold to a breaker. Well an interesting ride over complete with engine cutting out a few times on the 19 mile journey ensured that my love of the ER was kicked to the can. We offloaded it, the spare key, the spare engine and CDI, picked up the cash, signed the V5 over on the yellow slip and bogged off quickly. As we got back in the car my wife received a text from my so called bloody friend to say he did not think he had done the rear axle up! I let him know what I thought of him. We had looked at the replacement a few days before, the guy was being mucked about by a buyer on ebay something rotten, first it was OK without an MOT then he wanted an MOT, despite the ad clearly saying NO MOT! It was on a buy it now, so we asked the guy what he would take, he said £450, so we left him with a £100 deposit and he pulled the lot raising two fingers to Rabbie Roy north of the border. Then the other half went down with the heaviest cold out. Now we had seen this blue paragon of motorcycling and heard it running, initial inspection looked good, despite the last MOT being in 2011! Arrangements were made for an MOT station to test this beast and we went down to Essex to get it. The M11 is not a road of excitement! Well we rock up and start the bike, clouds of white smoke everywhere. Now it was not doing this when it was last run, we saw it, it was started from cold and started normally. But it was not oily smoke, the engine sounded healthy so with the agreement that if the MOT went belly up then we could leave the bike with him and get a van. Rode through the streets of Leigh on Sea like 007! The DB5 smoke cloud generator was doing well. Down Cricketfield Lane to Lester's. I pronounced my scepticism of the likelihood of it passing. Left him with the keys and went away for half an hour. Now the guy had refurbished the bike, new BT45s front and rear, new brake lever, it was nice and tidy and worked well, just with more smoke than a terminal nicotine fiend. Well I walked back to Lester's and surprise sur flaming prise, not even a ruddy advisory! Apparently the smoke was dying down, it had reduced through the test, just a temp glitch or half a gallon of car shampoo down the exhaust sort of thing, there you go £29 please! Paid, paid the road fund license and with a stunned feeling walked back to the bike. Let she who must be obeyed know that I would not be in the car on the way back. Pulled the helmets and the gloves on and started her up. Trailing the other half on the mainly dual carriageways back to the M11 I was trying to indicate to my wife that it might be an idea to pull over to slop the gallon of petrol we had bought with us in, the bike was running on main, but I am not going to take chances of running out of fuel on the M11. We went past 4 fecking laybys, me flashing the headlight, indicating, gesticulating and she was just cruising up the road, thankfully we made it into the fifth layby, where the bike was given a top up of new fuel. His full tank was about two thirds empty! Well on the way home the beast behaved itself admirably, only kicked out of gear once, was far more composed over roads, and handled like a dream, a dream! From 6000 rpm on up this quality machine reveals just why it has become a true cult moto-psyche-el. A forgiving badass. Vibrates a little more than I was expecting across the rev range. A proper motorcycle without frills. If you want a bike to impress your mates with, or want arm-wrenching power- look elsewhere. If you want a road bike that actually works as transport as well as being endearing and entertaining, have a look at one of these. Every time I hit a pot hole I swear I'll get a trail bike. Otherwise you just don't notice the ride and handling- it's that good. It is excellent around town and is very stable on the open road even in bad conditions. I go touring and only stop for fag/drink breaks and fuel every couple of hundred miles. The big single front disc and the rear one do the job, but sintered pads on the front give 2 finger braking without hurting the disc. Sometimes you just want more power, but most of the time it is enough. The v-twin effect is nice though- it is a lot more relaxed than a four. There is some vibration but not unpleasant, and it smooths out if revved. 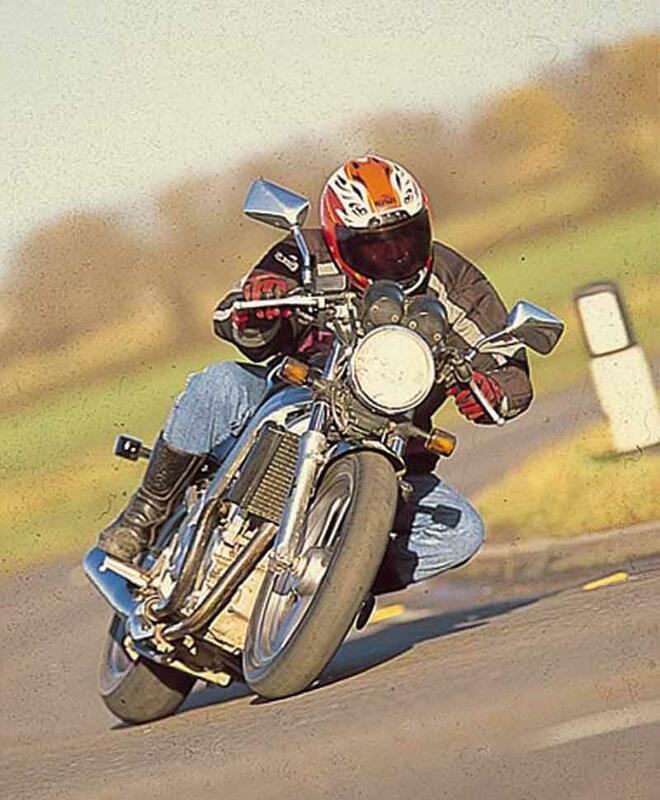 The carbs need careful balancing for low revs smoothness. What it really need is a Triumph triple motor though. The gearbox is shocking for clonkiness, but mine has got better over the years- I reckon it is about run-in now. It has been said that when the day of judgement comes and the dust settles, an NTV will come barrelling out of the smoke with its tyres smouldering and just carry on, and on. Anything can break of course, but I'm more confident of this bike than any other. Mine is 22 years old. Nothing has ever gone wrong over the 45000 miles I've put on it. The silencer rusted through at 17 years old, but I don't think that counts; a Motad slips straight on and even improves the mpg. The prices for decent used ones are just going to go up now- they can't get lower. I don't trust others to do servicing so I don't know about charges. A decent 10-40 oil and a Honda Civic oil filter every year is the norm. You can actually clean the air filter, though the health and safety people would scream. The tyre and brake wear depends largely on how you ride, but are average for a middle weight low powered bike. Mpg can vary between 40 and 80 (yes), but 60-70 is about right for gentle use. And there is no messy chain to wear out. Hurray. For use as a touring bike it lacks a clock and fuel gauge, but what it has is top quality. The centre stand is a doddle to use. This bike needs a fairing, or at least a screen, to be used for what it is best at. Don't Let The Mileage Put You Off! As the title suggests, if you see an NTV with high mileage don't be put off! I recently bought my neighbours old bike off him and it has 151,000 YES 151,000 miles. Considering most of these are commuter/courier bikes and thus are a source someones income although weathered on the outside they are probably well looked after. I brought mine as a hack to work and back as upcoming roadworks/traffic and fuel costs tempted me to buy it. As other reviews have stated 50+mpg is easy on one of these. In real money that mean £18 will get you 200ish miles before you flick to reserve. As for the ride, although a little tired everything is still there and if it aint been replaced once its been replaced twice. Very good brakes although the front on mine is a little week, a gearbox from a Combine Harvester requires technique to shift quickly but as MCN stated its built to last! its begging for a 6th gear as 80mph = 5,000rpm in 5th. The Engine is rock solid with smooth power right up to the r'line and has a little induction roar to boot too! For Commuting and filtering its superb, its far easier then my 1998 Firestorm. 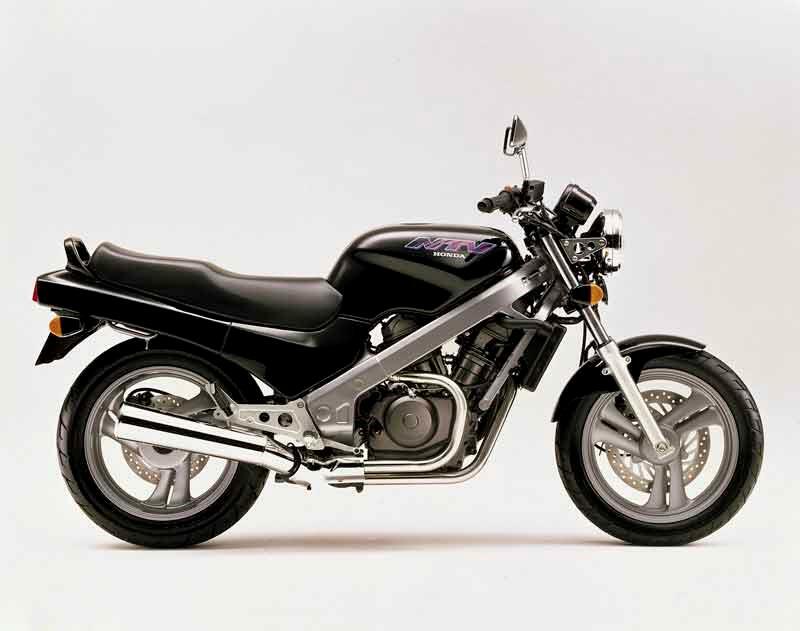 So to wrap it up... the NTV will never be able to step to a Bandit6 or Hornet in terms of out-an-out ability, (i had a Bandit6 as my first bike). However New to biking...want a V Twin... can't yet afford an SV, try one you'll be suprised. Insurance is cheap too i'm 22 and pay £250 with euro cover + breakdown + ride any bike. But most importantly it will take anything you can throw at it + you don't see many on the hard shoulder awaitng the revoery men! Safe biking! 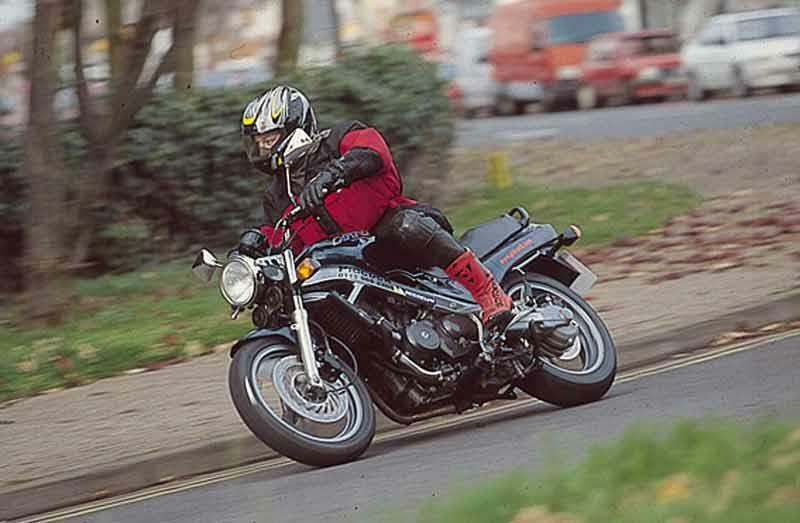 The NTV650 is part of a bike family that includes the Revere, the Bros 650/400, and the US Hawk GT (essentially the Bros 650; very popular in the US as a base for modifications). They're some of the best-handling, best-made bikes ever to come out of the Honda stable; probably neglected a little at the time because they weren't cheap, but then quality isn't -- single-sided swingarm, beautiful cast wheels, twin-spark, 3-valve cylinders, lovely stainless exhaust system (especially the 'stubby' one on the Broses), and a chassis that has a lot in common with Honda's 1980s two-stroke racers. Find any of these bikes in good nick, keep on top of maintenance (though to be honest it's easy) and you'll have a bike that'll make you very happy for a long time. my ntv is a 1996 with 73000 on the clock i use it every day,starts first time and runs lovely,i get about 210 miles before i have to swich on reserve,if i get another bike it will have to be a ntv650 01-05.i buy my bike on ebay for £551,just pure luck. A reliable dependable Honda with "character" complete with shaft drive housed in a single sided swinging arm which makes rear wheel removal easy. "character" = good engine sound; just enough engine vibration for you to notice; gearbox design by Honda's agricultural machinery division; decent sized fuel tank and fuel economy to give a good range; 57bhp & a "flat" 38ftlbs torque output, OK off the mark but runs out of steam and gears too soon. Can Honda san design me a modern styled 1000cc version using a tuned for touring/economy/torquey VTR motor, and a similar single sided shaft drive rear? NOT the latest derivative automatic 700cc plastic fantastic Honda DNA!